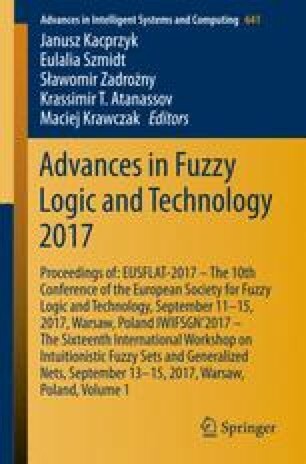 The concepts of incorporation of excluding features in fuzzy relational compositions and the compositions based on generalized quantifiers are useful tools for improving relevance and precision of the suspicion provided by the standard fuzzy relational compositions initial studied by Willis Bandler and Ladislav Kohout. They are independently extended from the standard compositions. However, it may become a very effective tool if they are used together. Taking this natural motivation leads us to introduce the concept of incorporation of excluding features in fuzzy relational compositions based on generalized quantifiers. Most of valid properties preserved for the two mentioned approaches will be proved for the new concept as well. Furthermore, an illustrative example will be presented for showing the usefulness of the approach. This research was partially supported by the NPU II project LQ1602 “IT4Innovations excellence in science” provided by the MŠMT.